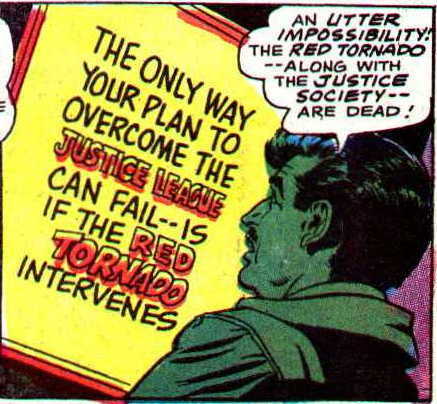 I’ve written before on this blog about the fact that as much as I loved the Justice League of America as a young reader — their series was the first comic book I actively collected — it took me some time to get around to sampling all of the team members’ solo titles. While I bought comics starring Superman, Batman, Flash, Green Lantern, and Hawkman all within the first six months or so of my picking up the comic book habit, it took me another whole year, and then some, to give the last three JLA headliners’ books a shot. Then, as I’ve related in earlier posts this year, I finally got around to buying an issue of Wonder Woman in May, 1967, and an issue of Atom in June. 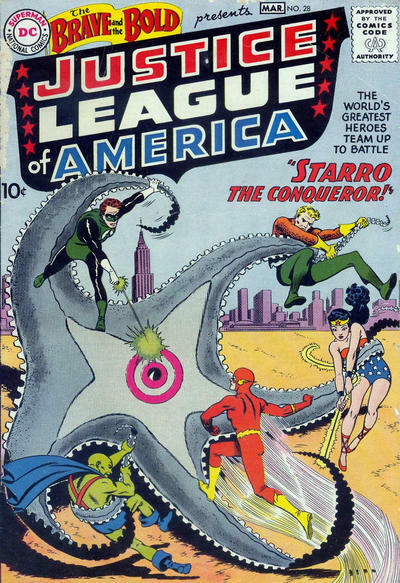 That left only one to go — Aquaman. 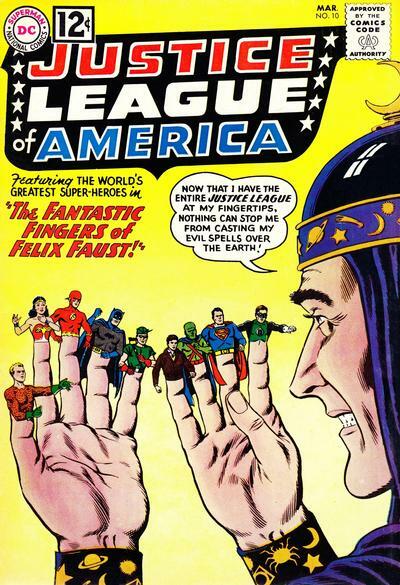 It’s a well-known fact of comic book history that, in the 1960’s, editor Julius Schwartz often came up with an idea for a cover, had one of his stable of artists draw it up, and only then assigned a writer to script a story around it. I don’t know if any of Schwartz’s fellow DC editors of the time followed a similar practice — but if there’s any one non-Schwartz cover of the mid-Sixties that might be considered a candidate for “cover first”, it’s surely the Carmine Infantino-Joe Giella cover of The Brave and the Bold #69, edited by George Kashdan.